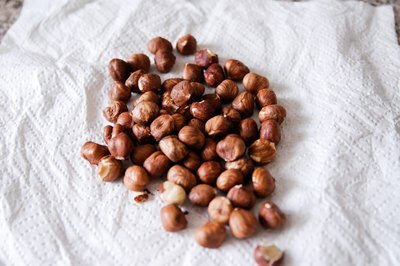 The hazelnut (or filbert) is a flavorful nut used in many recipes. 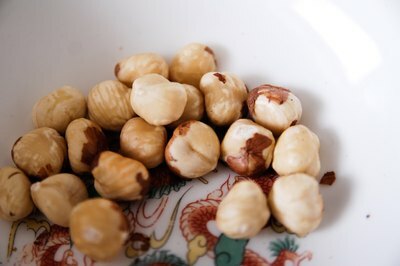 Inside the hard shells, most nuts have a thin, papery skin protecting their flesh. This skin is edible although some do not taste good. This is where blanching comes in. 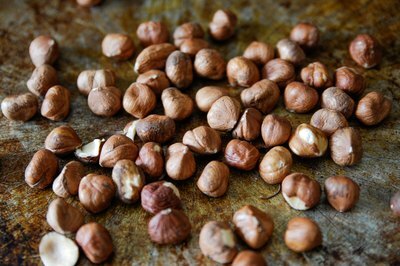 Blanching makes the skin easier to come off, leaving a bare nut ready to eat or cook with. With the simple process of removing their skins, a tasty snack will soon be yours. 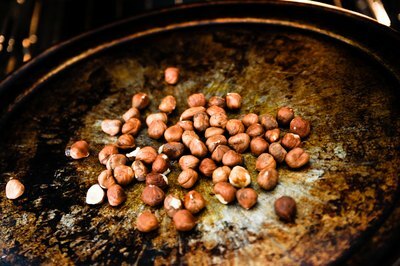 Preheat the oven to 320 degrees F.
Pour shelled hazelnuts on a baking sheet in a single layer. The baking pan should not have rims or the nuts may roll off into the oven. 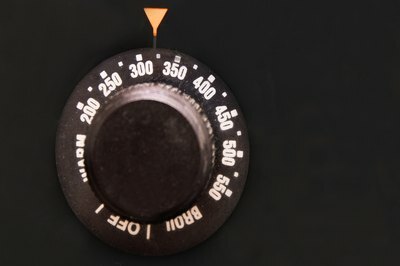 Put in the oven and cook for 10 or 15 minutes. Do not let them burn or it will affect the taste of the nut. Take the pan out of the oven and allow to cool for five minutes. Get a paper towel and place a small amount of nuts on it. A cloth towel also works well. 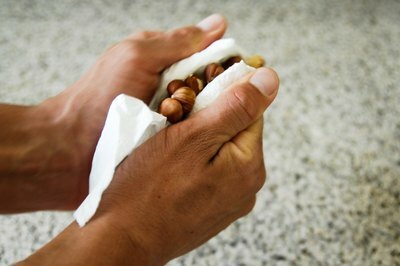 Take both sides of the paper towel and rub the nuts briskly. 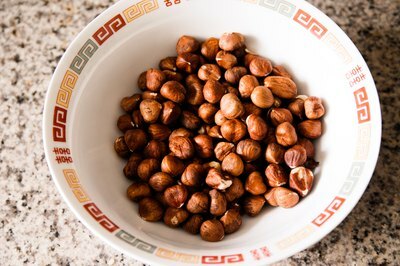 Remove the blanched hazelnuts and put them in a bowl. Throw the skins away. Repeat steps 4 and 5 with the rest of the nuts, using a new paper towel when necessary. Explains how to blanch almonds for nut flour, nut milks or pastry use by soaking the almonds briefly, then removing their skins.